After many different failed attempts, I finally successfully completed a crochet project! My crafty mother-in-law would be so proud! It is not anything fancy but it serves the purpose. 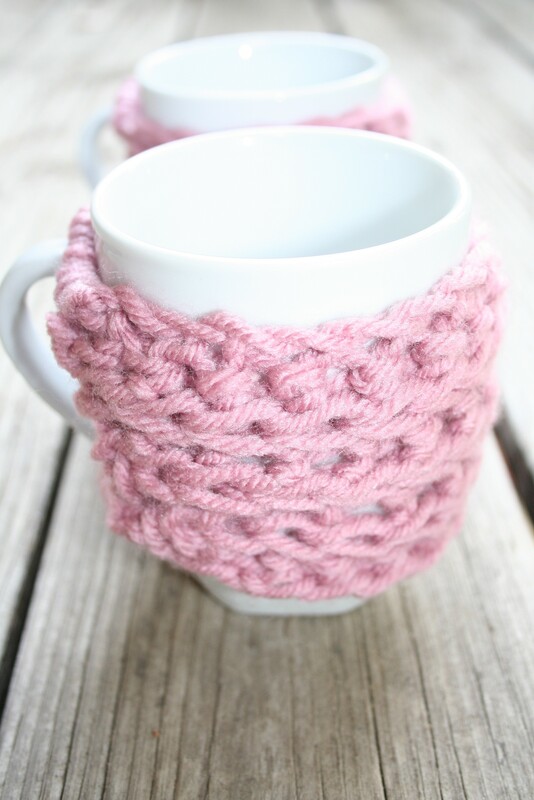 When drinking coffee or tea I can still use the cup for warmth but because of my new cozy, my cup no longer burns my hands. I didn’t use a pattern but there are some you can find online. I think it is a good idea to use a coffee cup to measure as you go. 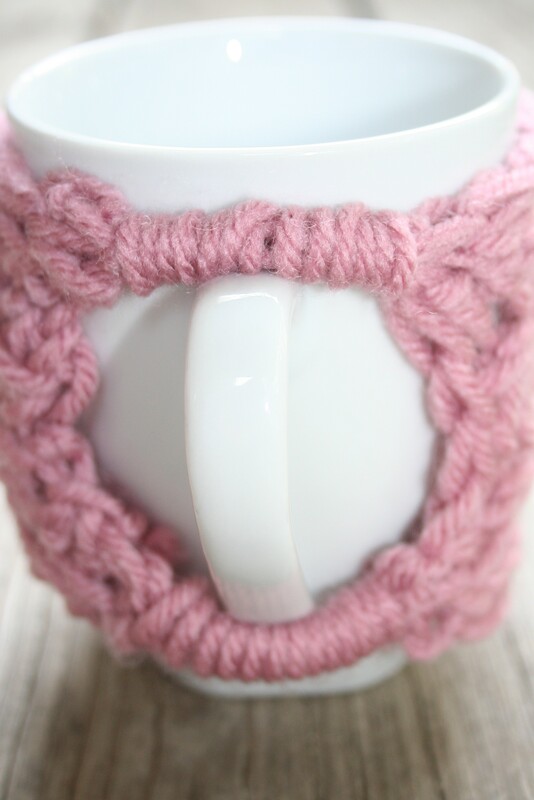 You want it to fit snugly on the mug. 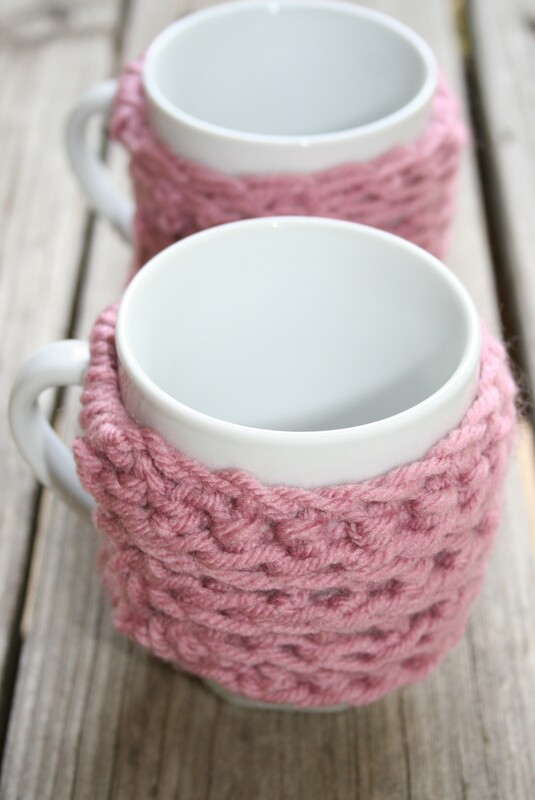 It stretches and will fit multiple size mugs. I just crocheted a rectangle shape about 7 inches wide and about 3 inches tall (Stitches Used: Chain 15, Half-double crochet 15 making 9 rows). Then I crocheted a single chain from one side to the other side, cutting off the excess yarn. However, the second time I used use a single piece of yarn and laced it through a loop on one side and directly across to the other side pulling semi-tightly and tying in a knot on one side hiding it within the crocheted portion. I took one piece of yarn and tied it on one side and then wrapped the single line over to the other side. I did this twice and then secured the piece of yarn on the other side by knotting it, hiding the knot within the crocheted portion . I did this twice, one above the handle and one under the handle. I think most people use a button instead. That is what I will use next time instead of making the wrapped straps.